Please note that the content of this book primarily consists of articles available from Wikipedia or other free sources online. 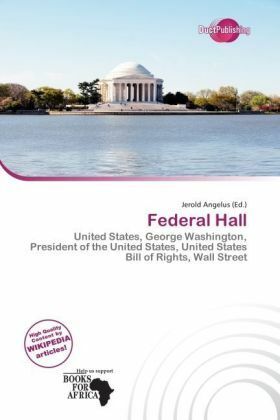 Federal Hall, built in 1700 as New York's City Hall, later served as the first capitol building of the United States of America under the Constitution, and was the site of George Washington's inauguration as the first President of the United States. It was also where the United States Bill of Rights was introduced in the First Congress. The building was demolished in 1812. Federal Hall National Memorial on Wall Street was built in 1842 as the New York Customs House, on the site of the old Federal Hall.